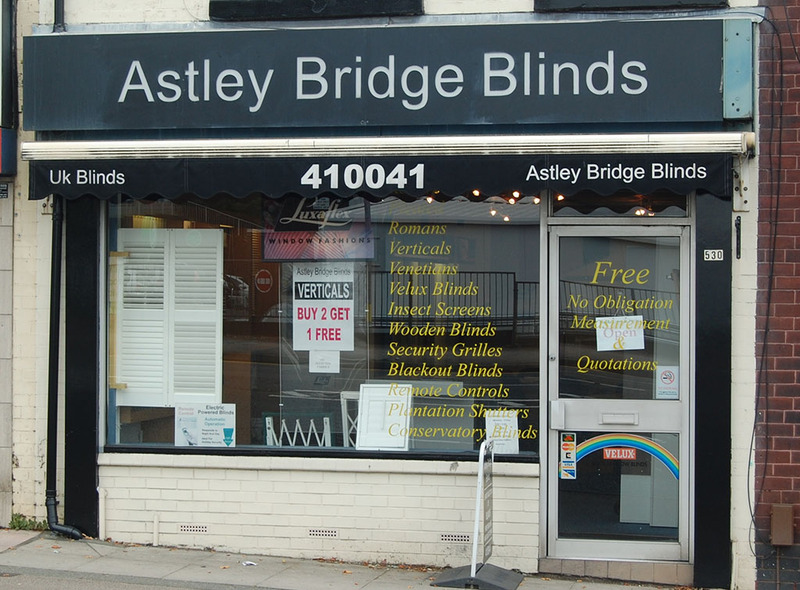 Astley Bridge Blinds has been owned by John Pimblett and Joyce Canty for over 12 years, supplying domestic and commercial customers from a comprehensive portfolio of window blinds. Our eight years of experience means you can have complete peace of mind when choosing blinds for more complicated applications such as conservatories, sloping windows, roof lights or outside awnings etc. Many of our blinds are manufactured by ourselves ensuring not only top quality but excellent value for money. We are so confident about the quality of our blinds that each one comes with a two year guarantee. As a result, we have an excellent reputation for the high quality of our made-to-measure blinds and first class customer service of our workmanship when fitting blinds. We offer the widest selection of blinds locally and expert advice in providing inspiring ideas to help our customers find the perfect blind for every room in their home. Our free home visit service also lets our customers choose the right selection because they can see samples in their own window. At the end of each home consultation we provide a no-obligation quotation. Alternatively you can visit our showroom on Blackburn Road to browse at your leisure. Our business has been a success for 12 years because we recognise homeowners want expert advice in choosing and fitting great quality made-to-measure blinds at very competitive prices. John is involved in nearly all installations from start to finish ensuring complete customer satisfaction.